Situated in the aesthetically beautiful Mendocino County, Little River, California gifts incredible experiences, photographs, and memories to all who visit. The town sits on a scenic bluff overlooking Little River and is home to many different species of marine wildlife and breathtaking foliage. The refreshing salty air and serene atmosphere make this destination a necessity for every bucket list. Here are a few reasons why we love Little River, California. If you have an adventurous spirit and a love for the great outdoors, there’s plenty to do and see in and around Little River, California. 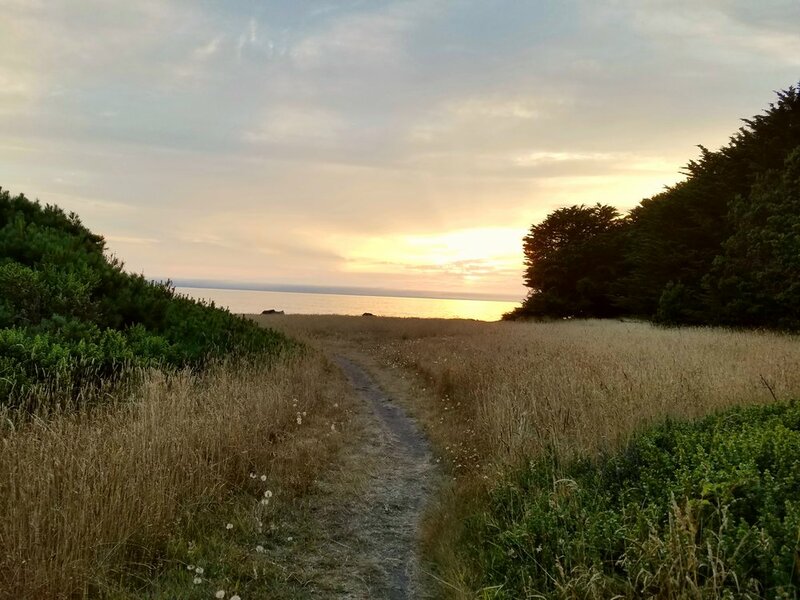 Breathe in the fresh air and picturesque scenery at MacKerricher State Park just a few miles north, or spend the day jet skiing and boating on Lake Mendocino in inland Mendocino County. A variety of beaches, including the beautiful Glass Beach (featuring ocean coves made up of sea glass! ), make for a wonderful day on the Northern California coast. There are also many area hiking and biking trails, places to go kayaking, and ample opportunities for backpacking trips! For those who like to venture inside, the Little River area has an eclectic mix of venues, festivals, and annual events. Learn the history of the Mendocino Coast at The Kelley House Museum in Mendocino, or create your own masterpiece at the Mendocino Art Center. Or, if you’re in the mood for some tunes, stop by the Mendocino Music Festival during the summer and enjoy an array of genres including jazz, folk, big band, and more. From chicken tacos to lobster tails, Little River has a diverse assortment of restaurants that take the average dining experience to a whole new level. Wild Fish restaurant caters to the taste buds of seafood lovers by using 100% local and organic ingredients and preparing them in a world-class kitchen. For those craving an East Coast classic, try the authentic Philly Cheese Steak from Patterson’s Pub in nearby Mendocino. Wash it all down with an elderflower cocktail from Trillium Café, and your stomach will thank you. If you’re craving a little retail therapy, check out some of the beautiful and refined shops near Little River. For a unique artisan-made gift, visit Sallie Mac, or pick up a one-of-a-kind piece of art from The Highlight Gallery in Mendocino. If gold is your color, be sure to stop by Old Gold Jewelry for a hand-chased piece made by the world’s leading designers. You’ll remember the beauty of Little River every time you admire these treasures. As you can see, Little River, California has something for everyone. Whether you’re in the mood to explore the outdoors or a new wardrobe, Little River (and the surrounding area) is sure to deliver. The Inns of Glendeven provide the absolute best in lodging in the Mendocino area and is the perfect home base for you and your family while you explore the Northern California Coast. Book your next Mendocino coast getaway today!